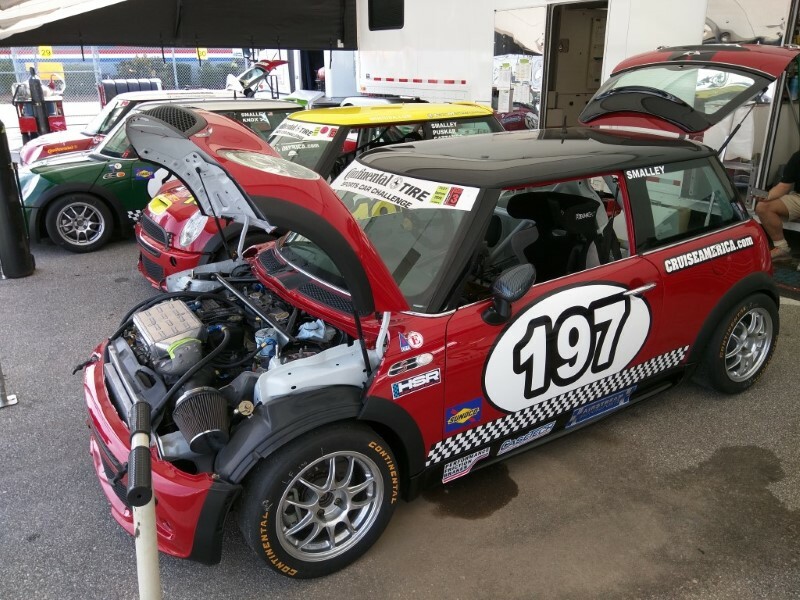 This entry was posted in news and tagged IMSA LAP Motorsports MINI JCW Team motorsport on January 29, 2016 by James Day. 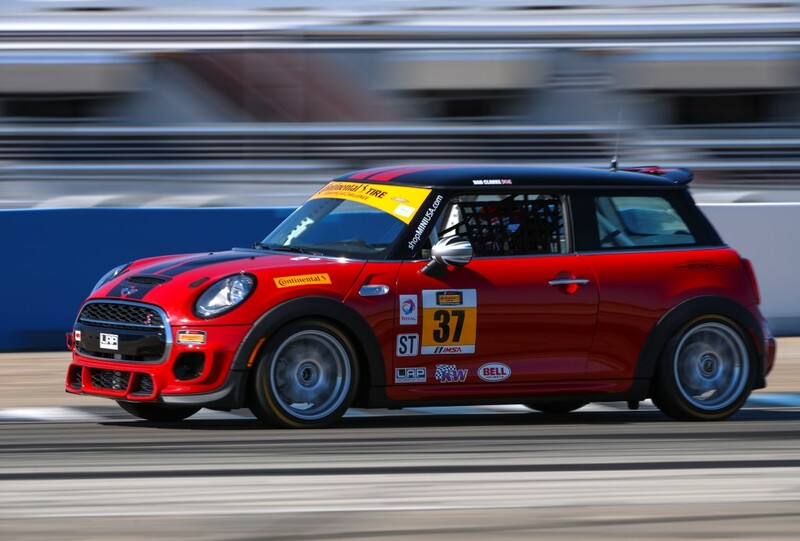 MINI begins the IMSA Continental Tire SportsCar Challenge 2016 season today in the BMW Performance 200 at Daytona International Speedway. 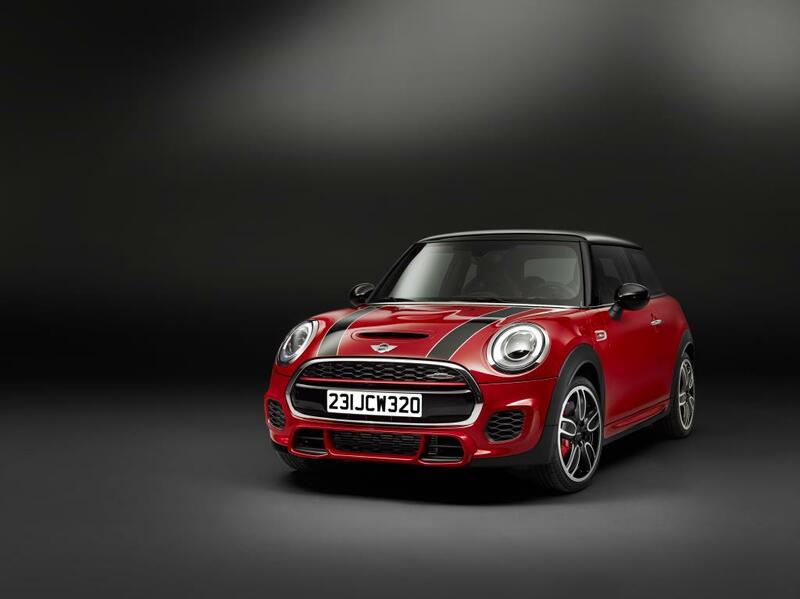 Last year MINI started late into the season with pre-production MINI John Cooper Works Hardtops so this will be the MINI’s first full season. The season consists of ten races and runs through September. MINI USA has again partnered with LAP Motorsports LLC for a three-car MINI John Cooper Works Hardtop lineup for 2016. They will compete in the Street Tuner (ST) class. The BMW Performance 200 starts at 1:45pm ET. You can watch the race live at IMSA.com. 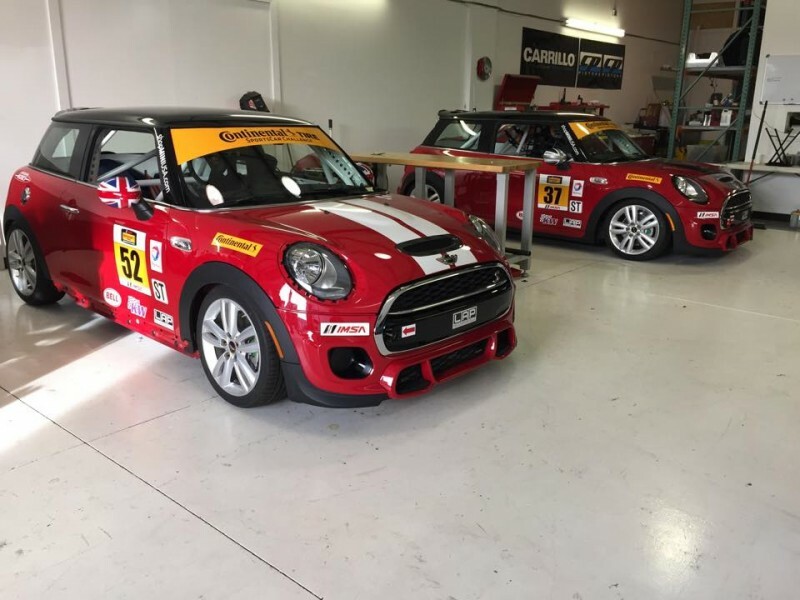 Woodcliff Lake, NJ – January 28 – MINI USA and LAP MotorSports LLC are gearing up the MINI John Cooper Works Team for the 2016 season of the IMSA Continental Tire SportsCar Challenge (CTSCC), the first full season for the team. The team also today announced the addition of a third car and two new drivers – Ethan Lowe and James Vance. Building on the momentum of the team’s first podium at the season finale at Road Atlanta last year and a solid performance during three days of testing at The Roar Before the 24, the team is hopeful for more podium finishes during the 2016 season. The season kicks-off this Friday, January 29th, at Daytona International Speedway. For a full schedule of the 2016 Continental Tire SportsCar Challenge series, please visit IMSA.com . To follow the team during the race on Friday, January 29th go to IMSA.com or download the IMSA app. Follow #37, #52 and #73 while they compete in the Continental Tire SportsCar Challenge! Green Flag is scheduled for 1:45PM. Involved in motorsports since 1998, Luis Perocarpi founded Indianapolis, IN, based LAP MotorSports LLC in 2008 and established LAP as one of the leading service providers in building, operating and managing race programs and race teams in North America and Europe. LAP Motorsports has been involved with ChampCar programs of Patrick Racing, Team Rahal, HVM, Herdez Competition and Minardi Team USA and series such as Formula Atlantic, Indy Lights, Superleague Formula, USF2000, Pro Mazda, Grand Am, ALMS, Ferrari Challenge, SCORE International and IMSA Continental Tire Sportscar Challenge. Follow the MINI JCW Team Facebook page and visit www.minijcwteam.com. Follow the LAP Motorsports LLC Facebook page, and Twitter feed. Follow drivers Ethan Low, Mark Pombo, and James Vance on Twitter. This entry was posted in news and tagged Dakar MINI ALL4 Racing motorsport X-raid Team on January 17, 2016 by James Day. 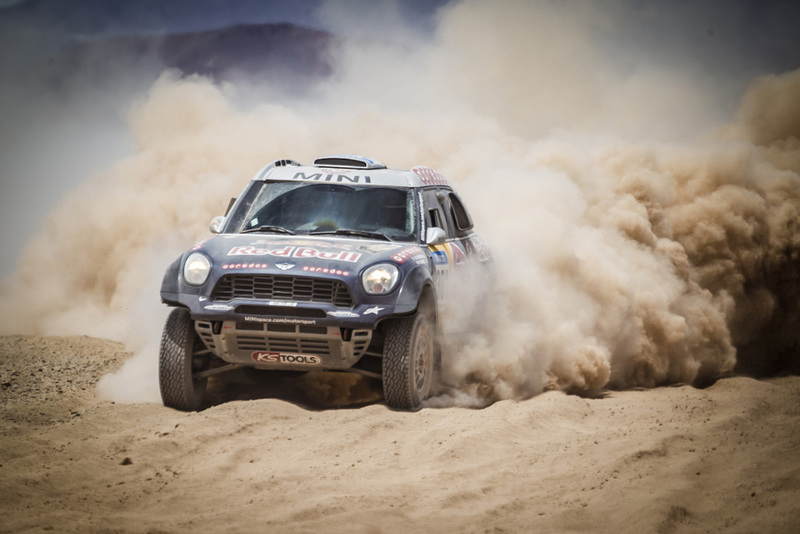 MINI’s four-year winning streak at the Dakar Rally has come to an end. The MINI of Nasser Al-Attiyah (QAT) and co-pilot Mathieu Baumel (FRA) was the highest placing MINI when they finished second in their No. 300 MINI ALL4 Racing. 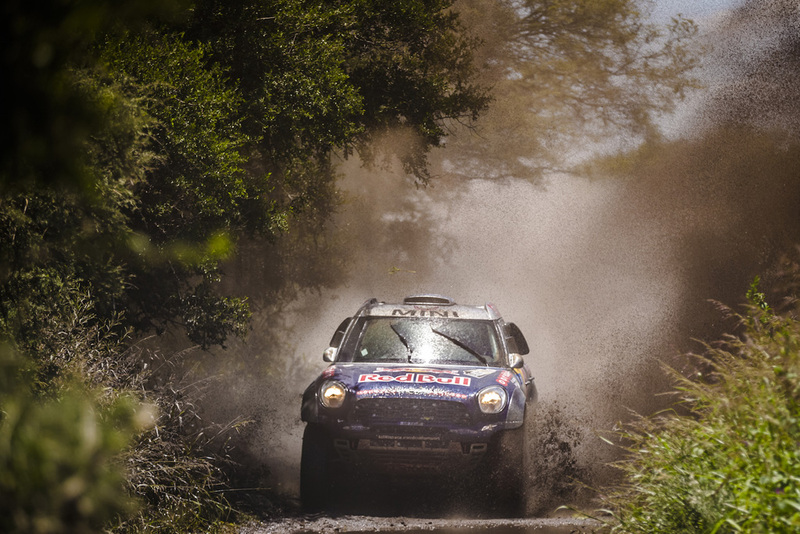 2016 Dakar Rally – Day 15, Stage 13: MINI achieves another incredible Dakar result with MINI ALL4 Racing winner of the four-wheel drive ranking. Four MINI ALL4 Racing secure top ten positions overall. 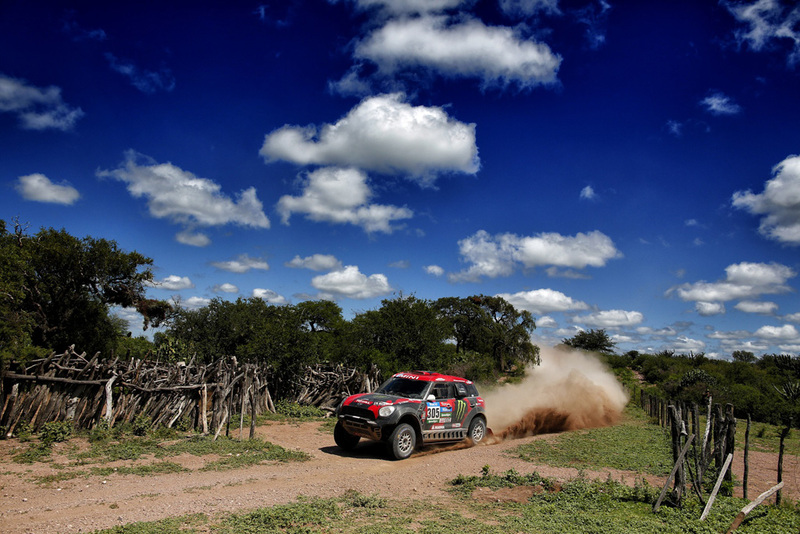 Seven MINI ALL4 Racing complete the most gruelling cross-country rally within top fifteen. 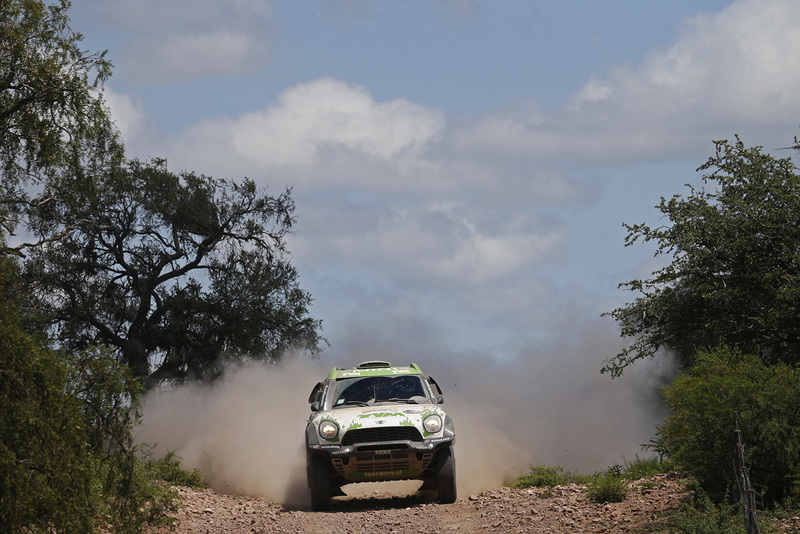 Mikko Hirvonen and Harry Hunt excel in their first experience of the Dakar Rally with Hirvonen clinching the Best Rookie title in the car category. Munich. Once again the MINI brand celebrates success at the Dakar Rally with Al-Attiyah (QAT) and co-pilot Mathieu Baumel (FRA) completing the 38th edition of the Dakar Rally as best placed all-wheel drive car. The provisional general ranking results show Stéphane Peterhansel as the quickest man overall in category and congratulations are extended to Peugeot. In the meantime, AXION X-raid Team driver Al-Attiyah is listed as finishing with a hard fought second. The result of an ongoing race appeal will determine the full and official result. 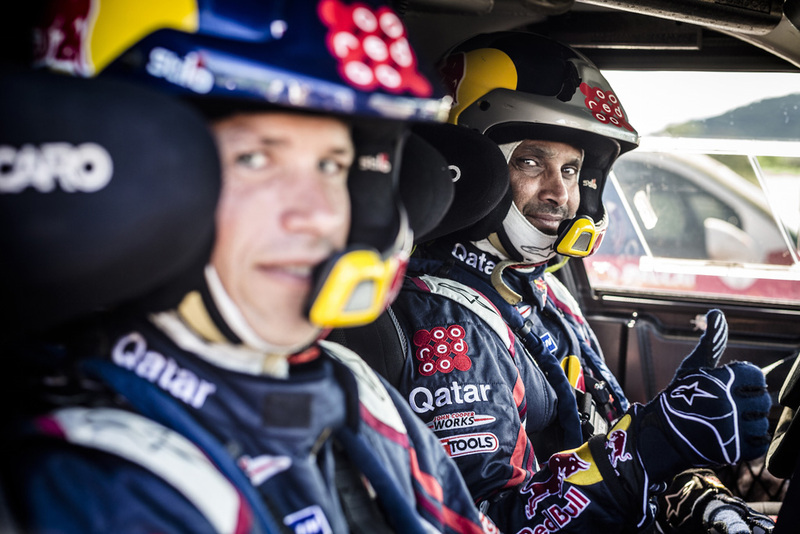 Al-Attiyah and Baumel drove a superb 9000km race in the #300 MINI ALL4 Racing to win the battle of the 4×4 vehicles, in particular against a determined effort by Toyota. Two stage wins by the Al-Attiyah / Baumel pairing ensured the outcome would be a MINI ALL4 Racing at the front of the pack. The famed reliability and performance of the MINI ALL4 Racing went hand in hand with the determination of all the MINI ALL4 Racing family to achieve an incredible result of four MINI ALL Racing positioned within the top ten finishers – a result in itself and rubberstamped by the fact seven MINI ALL4 Racing completed Dakar within the top 15. Further celebration within the MINI ALL4 Racing camp will also come in the knowledge that former WRC star Mikko Hirvonen (FIN) successfully completed his Dakar debut with a well-deserved top five finish. 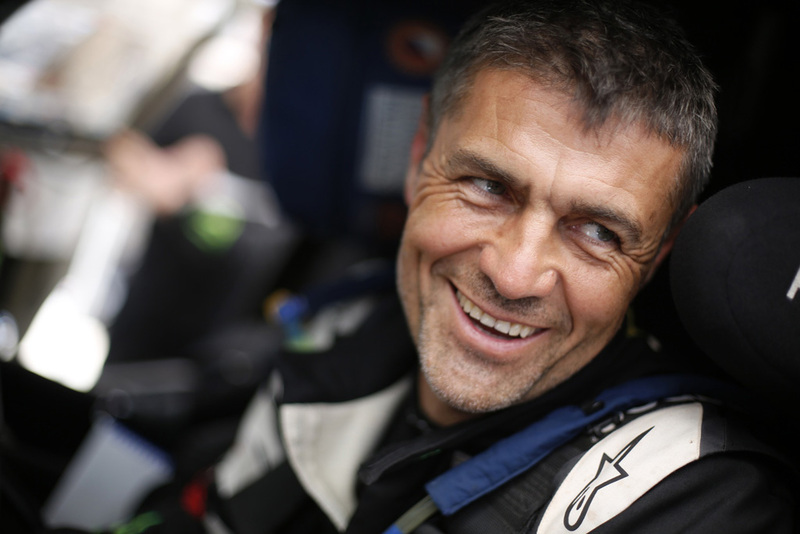 The AXION X-raid Team (#315) driver along with co-driver Michel Périn (FRA) also achieved a fantastic stage win, which itself is complemented by a series of top five placings in the 13 stage Dakar race. Spanish stars Joan ‘Nani’ Roma and Alex Haro (AXION X-raid Team #304) secured a 2016 Dakar top ten position in their AXION X-raid MINI ALL4 Racing after a dramatic fight back. Their start of the 2016 Dakar was upsetting to say the least when bad luck placed them deep in a mud hole for over 45 minutes to knock them far down the overall standings. 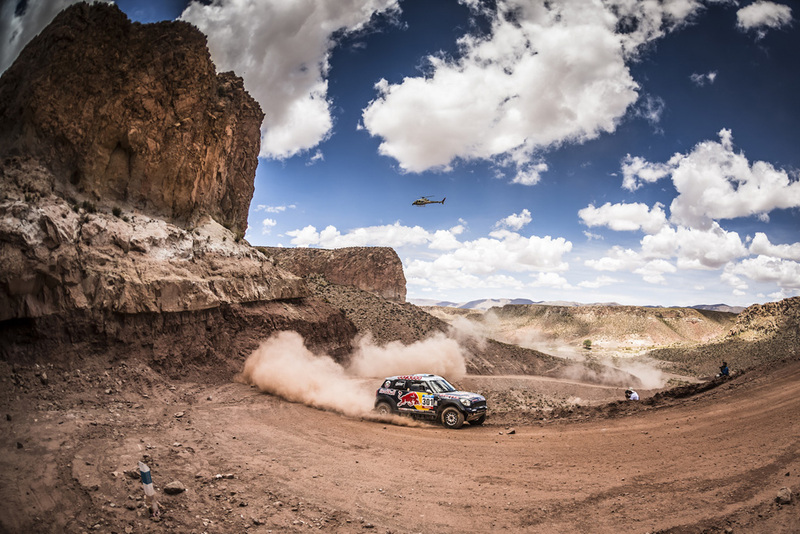 To complete Dakar is one thing; to draw on their skills to complete in the top ten is something else altogether. The #323 MINI ALL4 Racing of Harry Hunt (GBR) and Andreas Schulz (GER) was the fourth MINI ALL4 Racing to be placed within the top ten finishers. This is a remarkable achievement for the young Englishman considering, like Hirvonen, this was his first Dakar event. 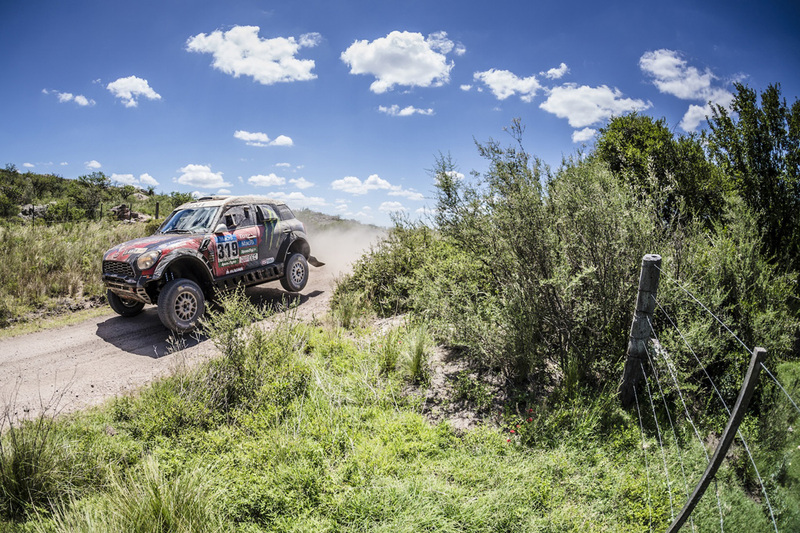 Consistent racing along with Schulz’s guiding hand of experience definitely made this a Dakar an event the X-raid team driver will never forget. Orlando Terranova (ARG) and co-driver Bernardo ‘Ronnie’ Graue (ARG) from AXION X-raid Team (#310) also had to apply all their experience to net the top 15 finish they are credited with. Exactly like Roma on Stage 2, Terranova was a victim of deep mud resulting in many lost minutes, which was compounded by another delay due to the terrible weather conditions. Another MINI ALL4 Racing crew who had to fight against early setback was that of Dutch duo Erik van Loon and Wouter Rosegaar of #306 Van Loon Racing. Completing Dakar inside the top 15 was an astonishing end to an astonishing Dakar, arguably the wettest Dakar on record. Jakub ‘Kuba’ Przygonski (POL) and Andrei Rudnitski (BLR) of ORLEN Team (#327) are also credited with a top 15 finish for the MINI ALL4 Racing family. 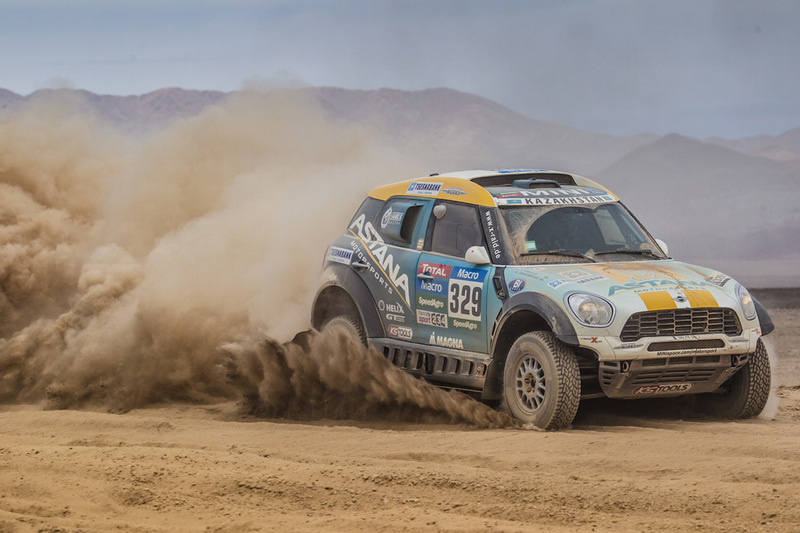 Yet again, the decision by a privateer to compete at the 2016 Dakar in a MINI ALL4 Racing paid off. 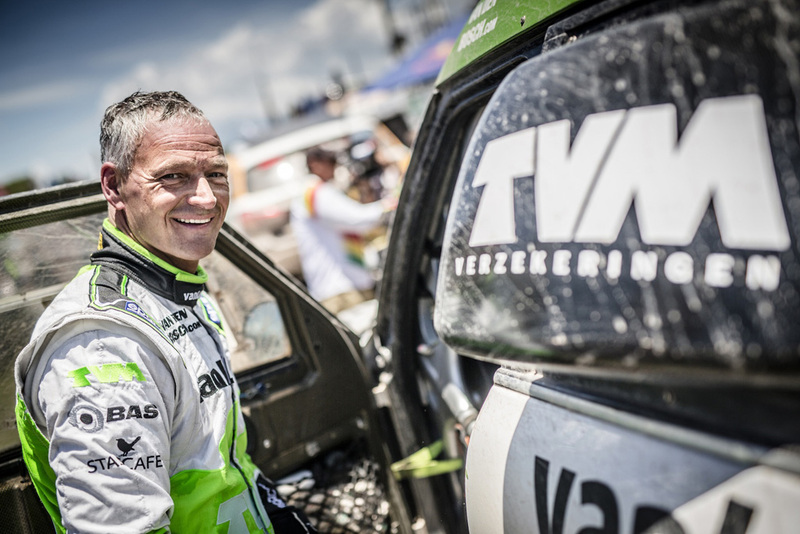 This year was the first year former cross-country bike rider Przygonski had tackled Dakar on four wheels and the result justified his choice of car. 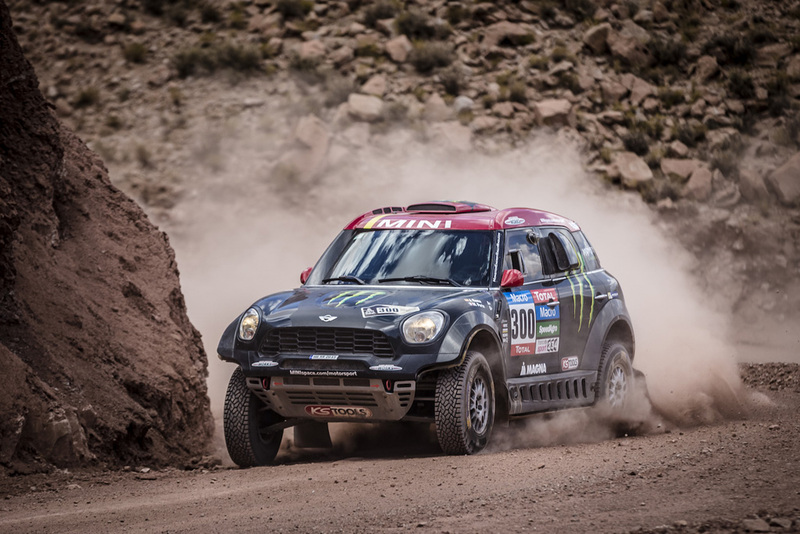 Three other MINI ALL4 Racing family members successfully completed the 2016 Dakar Rally despite overwhelming odds – odds that saw the original startline decimated by the terrain and stress of racing in the harshest conditions imaginable. Boris Garafulic (CHL) and Filipe Palmeiro (POR) of # 313 X-raid Team will join the crews of Nazareno Lopez (ARG) / Sergio Lafuente (URU) [X-raid Team #351] and Adam Malysz (POL) / Xavier Panseri (FRA) of ORLEN Team (#325) in celebrating their completion of the 2016 Dakar rally. Once again the Dakar rally showed how it can destroy men and machines in one fell swoop. 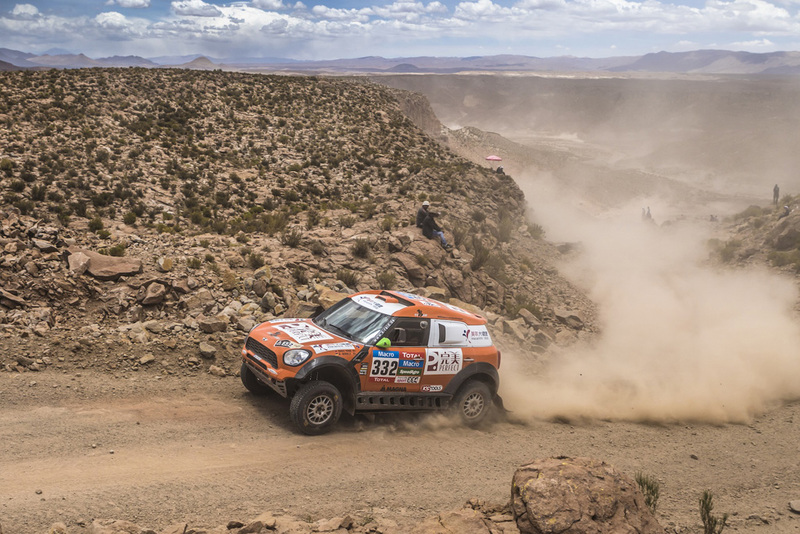 Therefore, the fact 10 competing MINI ALL4 Racing cars made it to the end of the Dakar pays testament to its design and durability – and also the quality of support from the service and support team from X-raid. Find more photos and videos in high resolution of previous Dakar participants in the MINI ALL4 Racing on the BMW Media Website by clicking here. This entry was posted in news and tagged IMSA LAP Motorsports motorsport on March 20, 2015 by James Day. After a two-year absence since RSR Motorsports exited, MINI returns to the IMSA Continental Tire SportsCar Challenge today at Sebring International Raceway. MINI USA has partnered with LAP Motorsports LLC to field two pre-production MINI John Cooper Works Hardtops which will compete in the Street Tuner (ST) class. The Microsoft Visual Studio 150 starts at 1:05 ET. You can watch the race live at IMSA.com. Woodcliff Lake, NJ, and Indianapolis, IN – March 18, 2015… MINI USA and LAP Motorsports LLC today confirmed the team’s driver line-up for MINI’s return to the IMSA Continental Tire SportsCar Challenge (CTSCC) in the Street Tuner (ST) class. 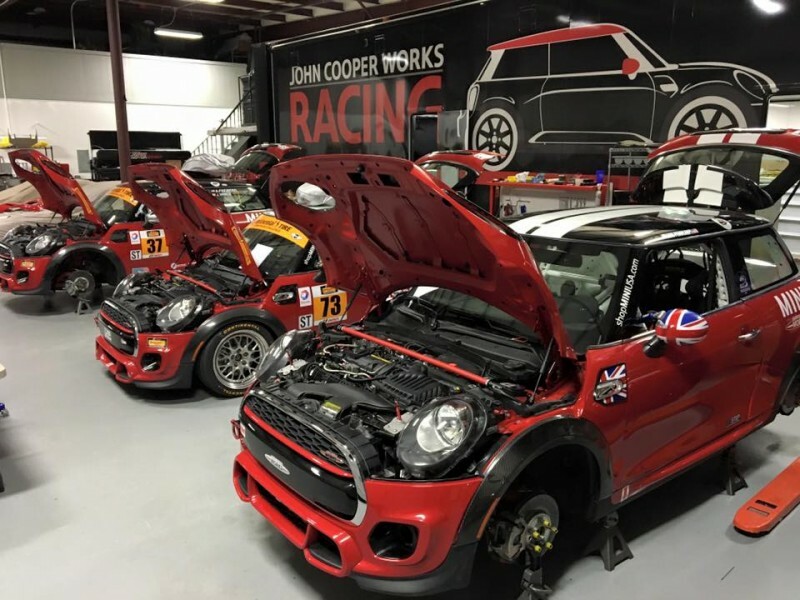 The Indianapolis-based MINI John Cooper Works team owned and operated by racing veteran Luis Perocarpi will make its racing debut this weekend at the Microsoft Visual Studio 150 at Sebring International Raceway in Florida. Earlier this week the new MINI John Cooper Works team, which formed only a few months ago, left for Sebring with brand new cars and a mix of youth, talent and experience ready to get behind the wheels. Remo Ruscitti and Dan Clarke will share the #37 car while Lukas Johnson and Stephen Simpson will share the #52 car. The team will compete with a fleet of production-derived MINI John Cooper Works Hardtop race cars closely related to the John Cooper Works Hardtops that will be arriving in dealers this summer. This will be the first time these cars put rubber to tarmac in competition. In addition to the MINI USA support, the team also has sponsorships with Fikse Wheels and KW Suspensions. With a super-wide stance, ultra-rigid body and incredibly precise handling, MINI has a long history in motorsports and has always felt right at home on the track. Ever since John Cooper first exploited the racing potential of the classic Mini in the early 1960s, his name has stood for success and performance on the race track with MINI. The young guns on the team are Ruscitti and Johnson, a pair of 20 year olds with racing IQs beyond their years. Hailing from Toronto, Ontario, Ruscitti had a great 2014 campaign in the ST class notching a victory and several top ten. Johnson, from St. Paul, Minn., won the 2013 Intercontinental Trophy Cup season championship and competed in both ST and GS class events during the 2014 season. 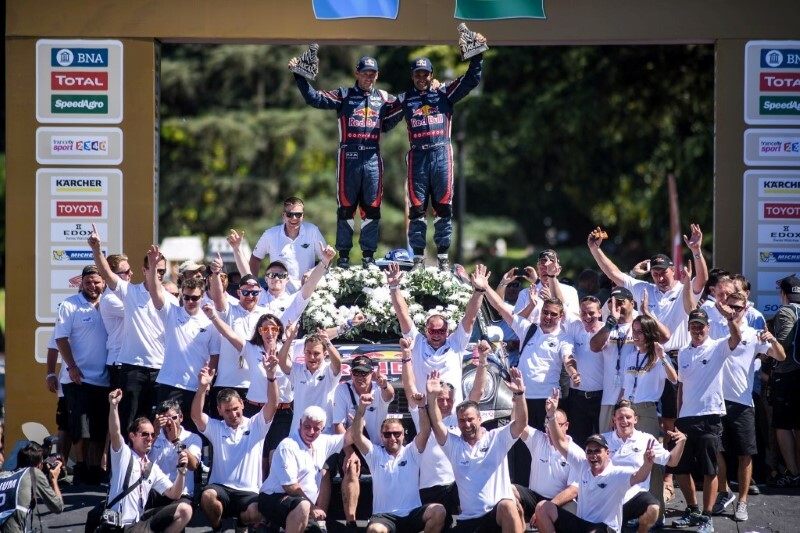 Both have lengthy resumes of success in national and international karting and have seamlessly transitioned into sports cars over the past two years. Bringing track-tested leadership and international experience of their own are Dan Clarke and Stephen Simpson. Clarke, from Yorkshire, UK, brings an outstanding resume, which includes British F3, Champ Car World Series, A1GP, Indy Lights and selected races in the 2014 CTSCC. Simpson, who hails from Cape Town, South Africa but now resides in Indianapolis, also has a long history of success climbing the open wheel ranks in Europe including British and European Formula 2.0, A1GP, Indy Lights, Formula Atlantic, and ALMS. Most recently he has enjoyed success in the Tudor United Sportscar Championship Prototype Challenge series with JDC Miller Motorsports. MINI’s return to motorsport is all encompassing, even down to the finest details, with the cars racing under the historic numbers of 37 and 52 used during MINI’s racing success in the 1960s. In 1964, Northern Ireland’s Patrick (“Paddy”) Hopkirk and his co-driver Henry Liddon held off more powerful rivals and won the legendary Monte Carlo Rally in a Mini Cooper S for the first time. The classic Mini’s dominance of the Monte Carlo Rally continued over the years with Hopkirk’s Finnish team-mates Timo Mäkinen and Rauno Aaltonen adding two more overall victories in 1965 and 1967. Early this year, MINI celebrated its fourth consecutive overall win at the world famous Dakar Rally when Nasser Al-Attiyah and Mathieu Baumel crossed the finishing line in the Argentinian capital Buenos Aires as the overall winners, having won five of the 13 legs in their MINI ALL4 Racing. In addition to this new partnership with LAP Motorsports, MINI USA enjoys a partnership with the Miles Ahead driving school, which operates the MINI Motoring School at the Indianapolis Motor Speedway. This year the school will operate with a program fleet using 2015 MINI John Cooper Works Hardtops. Follow the LAP Motorsports LLC website, Facebook page, and Twitter feed. This entry was posted in news and tagged B-Spec motorsport PWC racing on March 6, 2015 by James Day. The Pirelli World Challenge season is underway at the Circuit of the Americas. 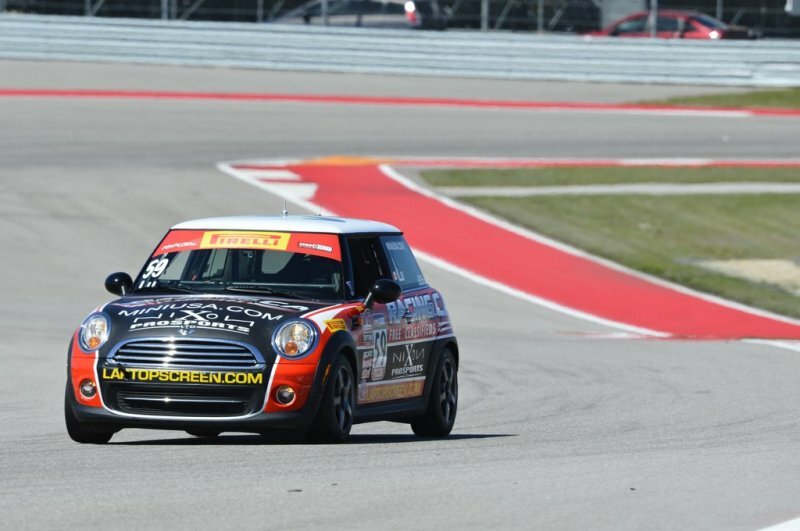 MINI will be competing in the TCB (B-Spec) class. The TCB class will race only a selection of the PWC venues, but each weekend they do will feature two or three races. MINI won this series in 2013 with Robbie Davis. In 2014, Tyler Palmer finished third in the standings. Neither driver is racing this year and MINI USA is not officially supporting any team. You can follow the Pirelli World Challenge through their website with the schedule, results, photos, video, and live streaming. Pirelli World Challenge racing can be watched online at www.world-challengetv.com. Breathless Performance Racing – Driver Jason Fichter. P.J. Groenke Racing – Driver P.J. Groenke. Racing.ca – Drivers Andrei Kisel, Glenn Nixon, and Wei Lu. Shae Racing – Driver Tom Noble. 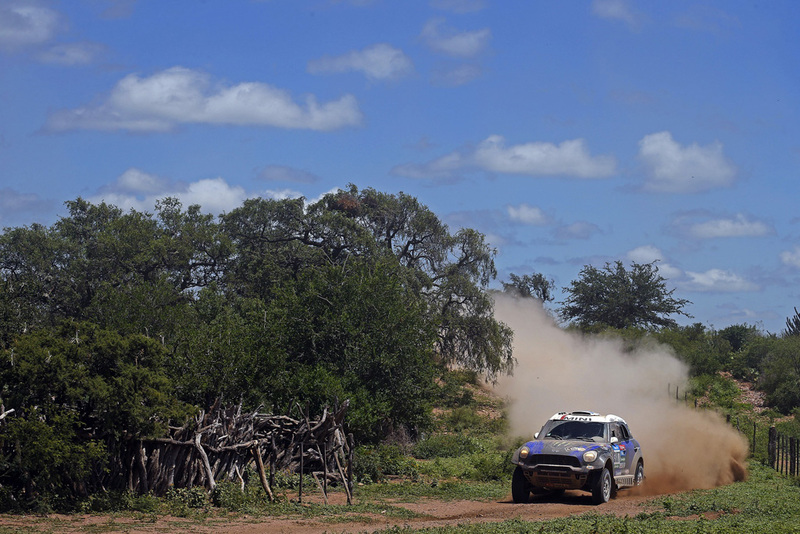 This entry was posted in news and tagged Dakar motorsport on January 19, 2015 by James Day. Munich (DE). 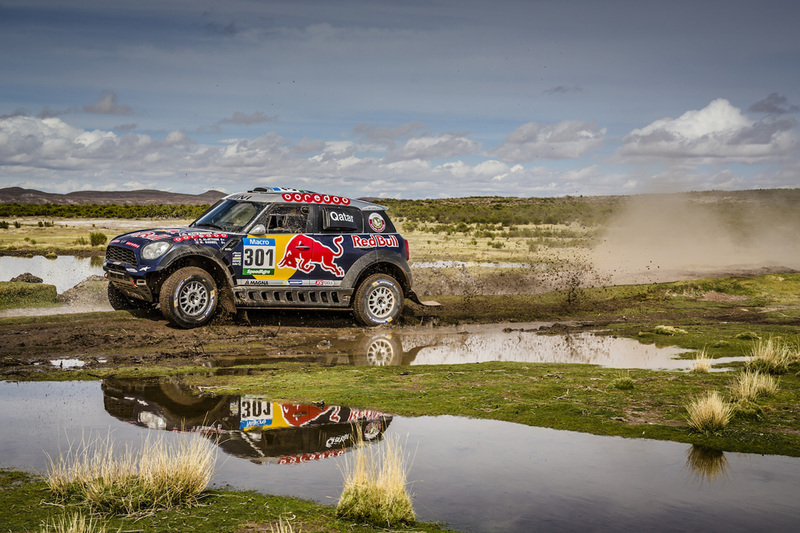 The MINI brand has achieved further success at the Dakar Rally. 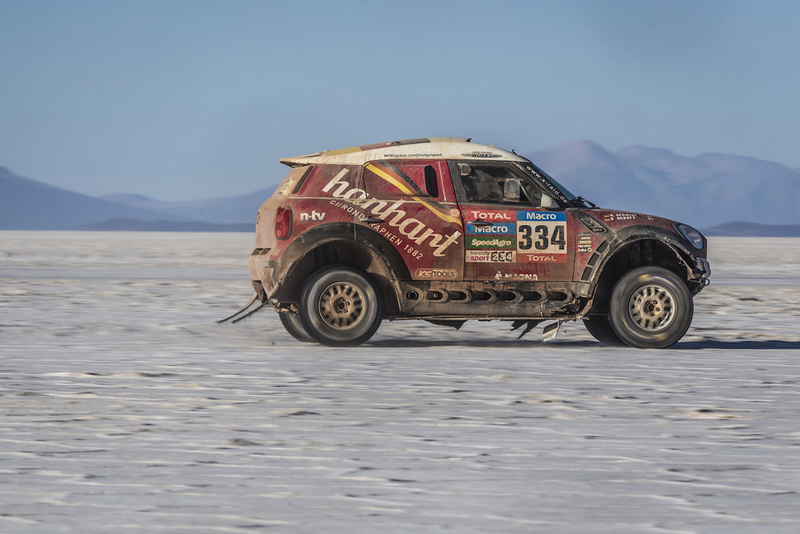 After covering more than 9,000 kilometres spanning Argentina, Chile and Bolivia, MINI won the world’s toughest rally for the fourth time in a row. Nasser Al-Attiyah/Mathieu Baumel (QT/FR) crossed the finishing line in the Argentinian capital Buenos Aires (AR) as the overall winners, having won five of the 13 legs in their MINI ALL4 Racing. 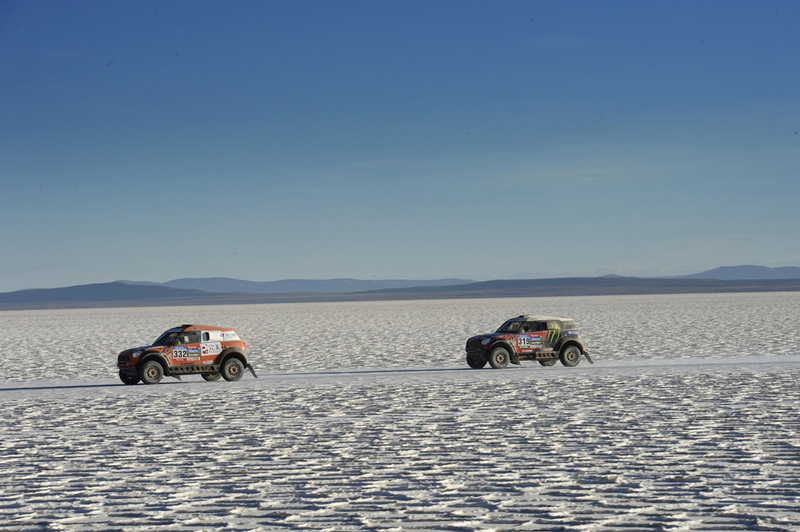 The “Dakar” entrants faced numerous unforeseeable challenges on the demanding route from Buenos Aires in Argentina via Iquique in Chile and Uyuni in Bolivia. From classic gravel rallying in Argentina and winding mountain roads through the Andes at altitudes of up to 4,500 metres in Bolivia to the extremely dry and hot Atacama Desert in Chile with its towering dunes and fine sand, the “Dakar” tested both man and machine to their limits. The drivers and co-drivers had to remain absolutely focused throughout the event. 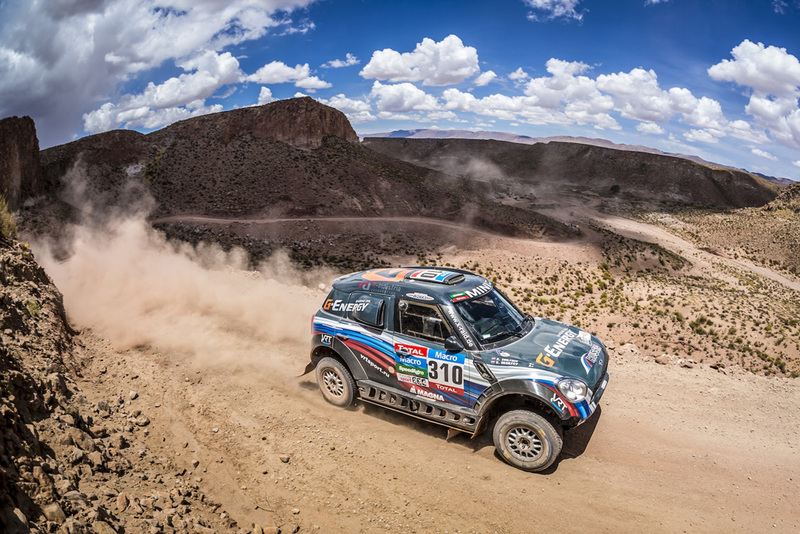 All in all, the MINI ALL4 Racing won eleven of the 13 legs at this year’s “Dakar”. Five of these were double victories for MINI. No fewer than four MINI ALL4 Racing cars ranked among the top five cars in the overall standings. Al-Attiyah/Baumel were joined at the top of the table by Krzysztof Holowczyc/Xavier Panseri (PL/FR) in third place overall, while Erik van Loon/Wouter Rosegaar (NL/NL) came in a strong fourth after entering the “Dakar” in the MINI ALL4 Racing for the first time. Vladimir Vasilyev/Konstantin Zhiltsov (RU/RU) – overall winners of the 2014 FIA World Cup for Cross-Country-Rallies in the MINI ALL4 Racing – finished fifth. Aidyn Rakhimbayev/Anton Nikolaev (KZ/RU) also ranked among the top ten, securing ninth place overall. Nine of the ten MINI ALL4 Racing cars that started the race made it across the finishing line in Buenos Aires. MINI ALL4 Racing 2015 Dakar Rally Lineup. Monster Energy Rally Raid Team. This entry was posted in news and tagged MINI Germany motorsport on September 22, 2014 by James Day. The German ADAC PROCAR Season finished last weekend with a pair of races at the Sachsenring. This is the series that replaced the MINI CHALLENGE series which ended last year. MINIs race in an exclusive Division 3 (also known as Division M) for MINI John Cooper Works. They can also compete in the new Division 1T which is exclusively for cars with 1.6 L turbocharged engines. The 2014 Division 3 champion is Steve Kirsch in his MINI JCW No. 41. Kirsch won ten of the 16 races during the season and easily won the division. Second and third places were much closer with Kai Jordan taking 2nd by two points over the 3rd-place Thomas Tekaat. Division 3 team results saw Frensch Power Motorsports take the championship. They were followed by H&R Team Dombek in 2nd place and Besaplast Team Dombek in 3rd. In Division 1, MINI came in 2nd and 3rd place behind the champion Heiko Hammel in a Ford Fiesta ST. In 2nd was Reinhard Nehls and completing the podium was Franjo Kovac, both driving a MINI John Cooper Works. The only other MINI driver was Joachim Schirra who finished 7th, competing in only four of the 16 races. Visit the ADAC PROCAR website and Facebook page for more. 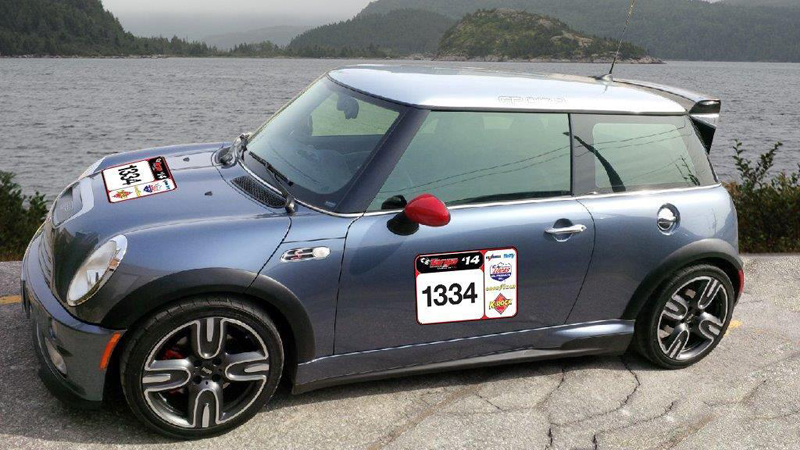 This entry was posted in news and tagged MINI CHALLENGE motorsport on September 15, 2014 by James Day. The 2014 season of the MINI CHALLENGE UK wrapped up last weekend with three races at Brands Hatch GP. In the JCW Class, the winner by a large margin was veteran Chris Knox in his MINI JCW No. 888. Joining Knox on the podium are Neil Newstead in MINI No. 77 and Luke Caudle in the No. 2. The leading rookie was Simon Quinn in the No. 55 JCW who finished 15th overall. The winner of the JCW Directors class was Alan Taylor. In the Cooper Class, the 2014 champion is Shane Stoney in the MINI Cooper No. 1. The Rookie champion was Matt Hammond who finished an impressive 5th overall. Simon Walton won the Cooper Directors Class. Grace Williams won the Ladies Cooper Class in her No. 11 MINI Cooper. View the complete 2014 MINI CHALLENGE UK standings at www.minichallenge.co.uk/standings. Follow the MINI CHALLENGE UK on their Facebook page and on Twitter.